Bridesmaids in tights! 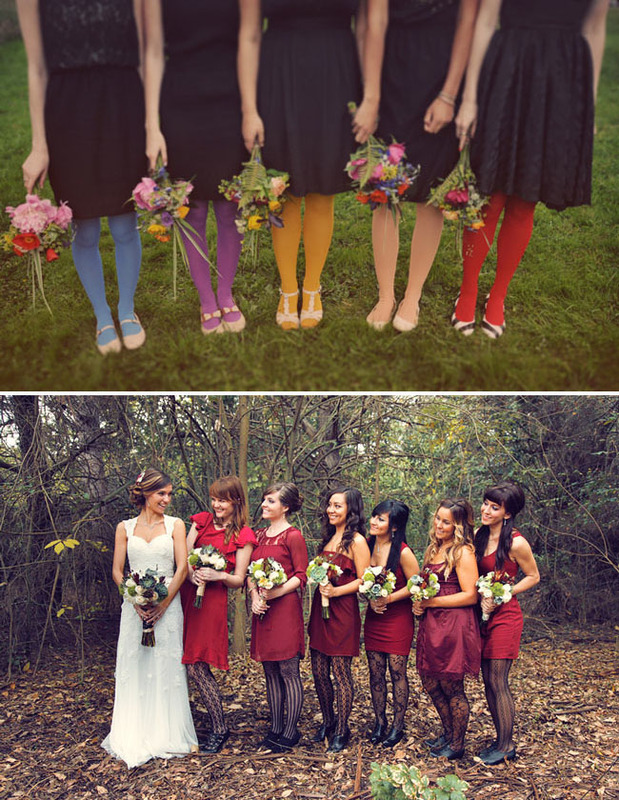 We featured two adorable weddings where I fell in love with the bridesmaids and their tights. 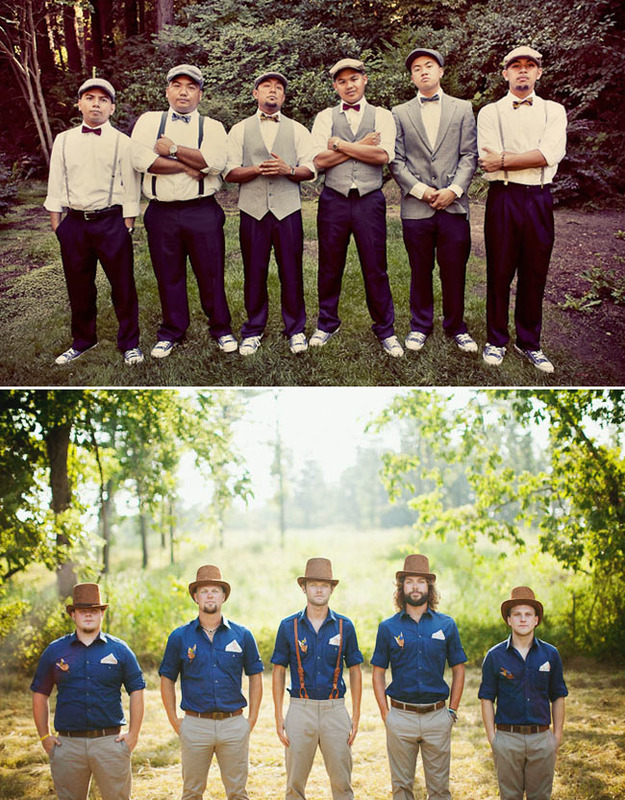 The top photo is from this Vintage Inspired Canadian Wedding photographed by Green Ginger Photography and the bottom photo is from this sweet wedding by Priscila Valentina. 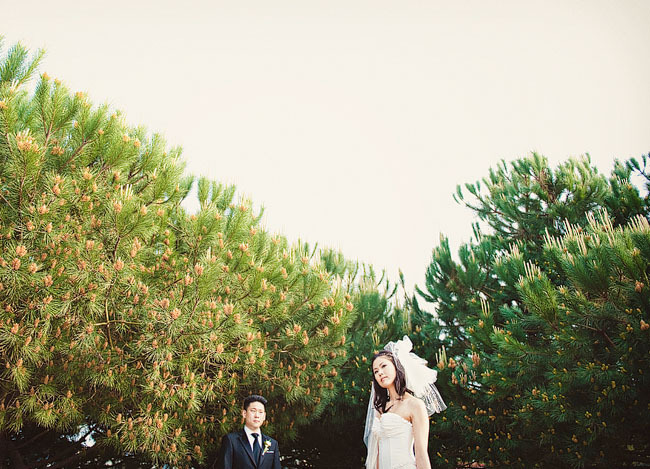 These bride’s wore dresses with an unexpected pop of color which I just love! The top bride found this great dress and altered it to make the perfect wedding dress, photographed by Floataway Studios. 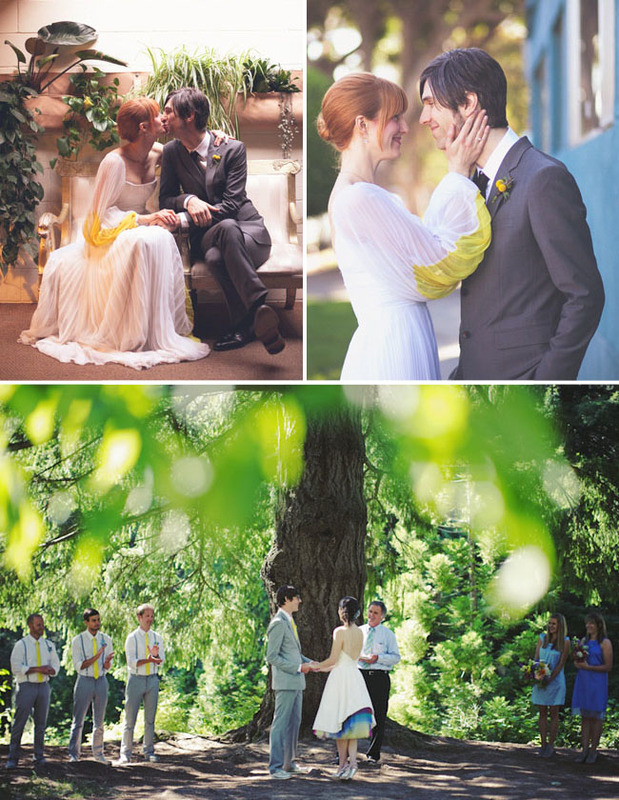 The bride below from this Portland wedding created a rainbow tulle design to peek out from her wedding dress – so adorable…bottom photo by Ben Blood. 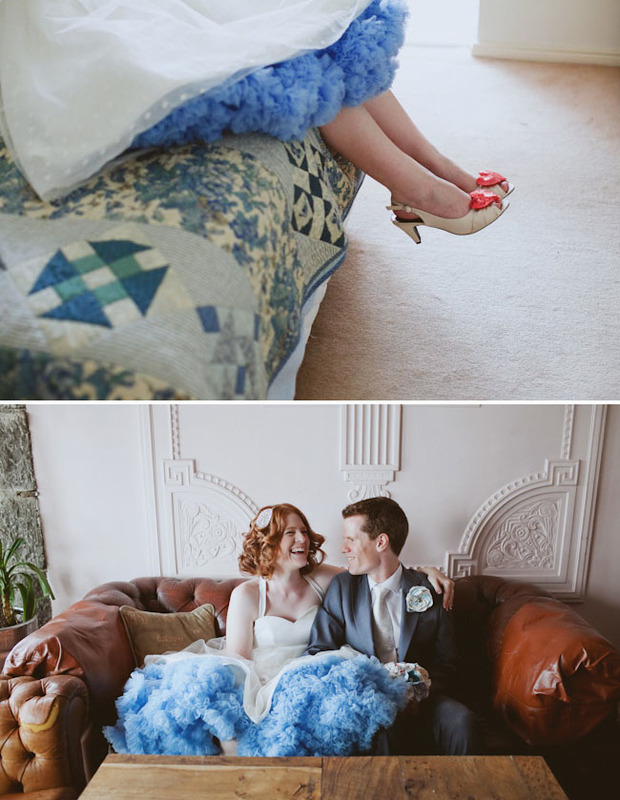 And we can’t forget this lovely bride and her blue ruffled tulle (and sparkly red heart ban.do shoe clips! 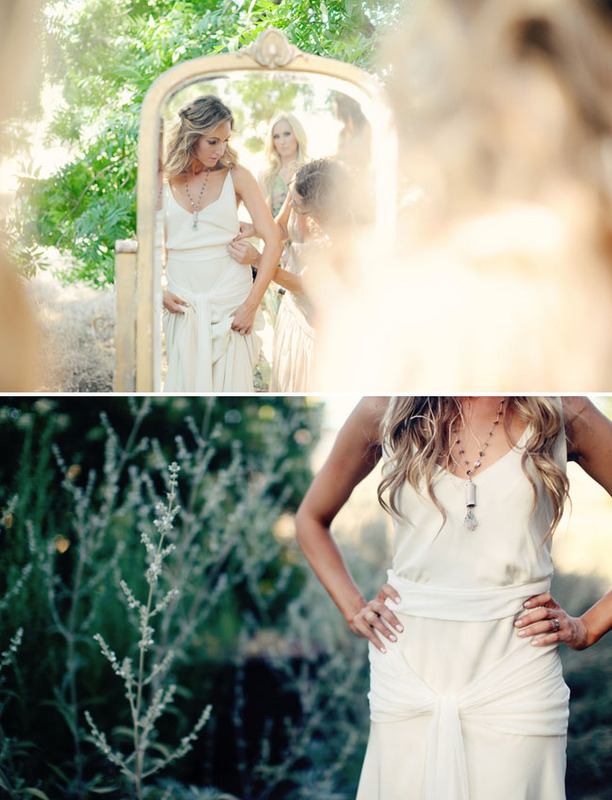 ), photographed by Feather + Stone. 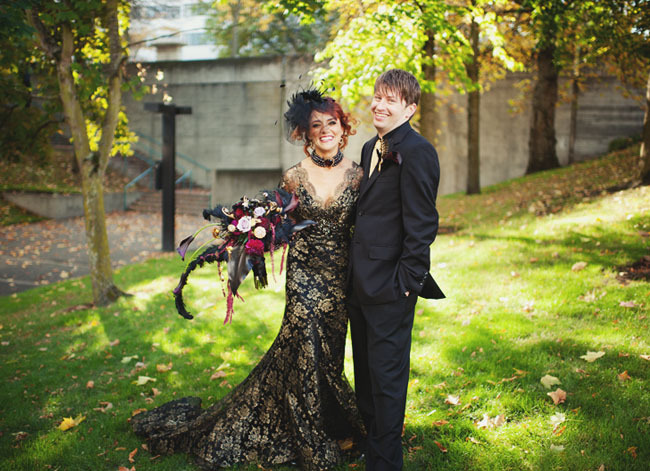 Love that this bride was bold enough to wear a black + gold wedding dress! She was married on her favorite holiday, Halloween, also. Thanks to Kristen Marie for the photo. Another bride who designed her own dress! Stunning and love her pretty flower hairpiece also (actually the whole wedding is pretty amaze), photographed by W. Scott Chester Photography. This bridal party is all wearing vintage 1920’s dresses! Love. Photos by Wildflowers Photography. 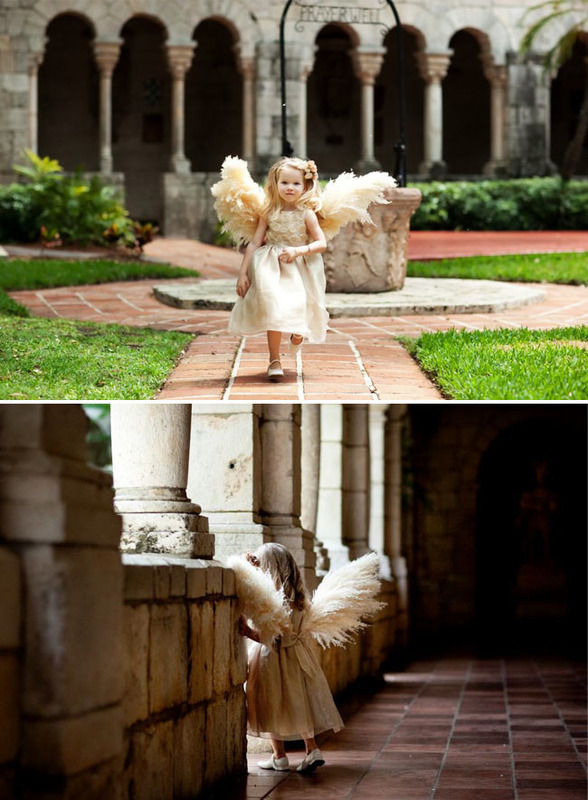 The most adorable flower girl with wings! From this stunning Miami wedding photographed by Jerry Yoon Photographers. Bridesmaids in shades of whites were a big trend this year as seen in this vintage circus inspired wedding photographed by Katie Neal Photo and this Georgia farm wedding below photographed by Matt Miller from Our Labor of Love. 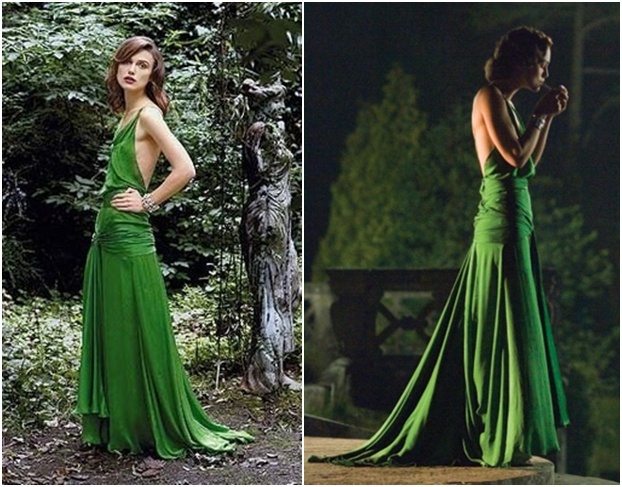 Just love that we featured two brides who designed their dresses after that gorgeous green dress from Atonement! This bride wore a white version of the dress (photos by Images By Lori) and this bride wore red (photo by Dan O’Day )! Love these brides below and their rocking hairpieces! 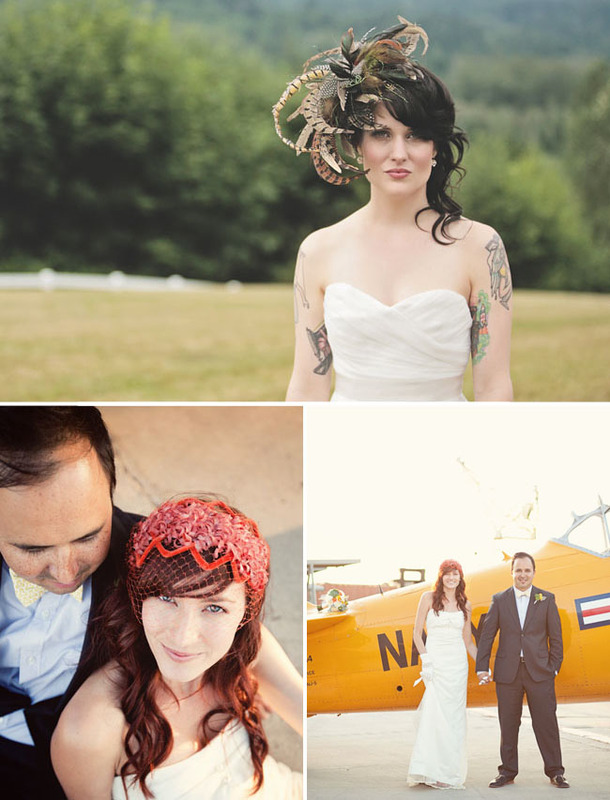 This rustic chic wedding featured Bree and her awesome feather hairpiece (photographed by Stacy Jacobsen) and below Kelly wore a chic red veil for her DIY wedding in an airplane hangar photographed by Ashley Rose. And let’s not forget the guys! 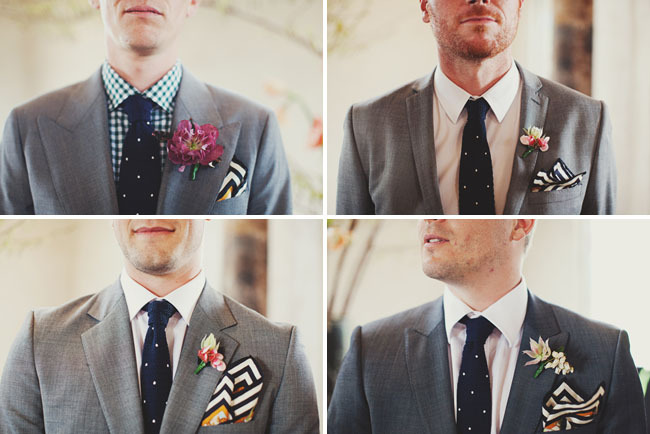 Love these groomsmen with their chevron hankies from this art deco wedding photographed by Jonathan Ong Photography. Which was your favorite stylish look from this past year? I’d love to hear in the comments! Jen, I cannot tell you how much I love Green Wedding Shoes! This blog has inspired me as a venue owner and a stylists. I have looked at it faithfully for 1 year straight. I am so encouraged that couples can be themselves and have the day they dreamed of. It is so encouraging to see them think outside the box and be creative. I am so inspired by your work and the posts! Keep it up, Happy New Year to all of you! The blue ruffled tulle dress is so fab! 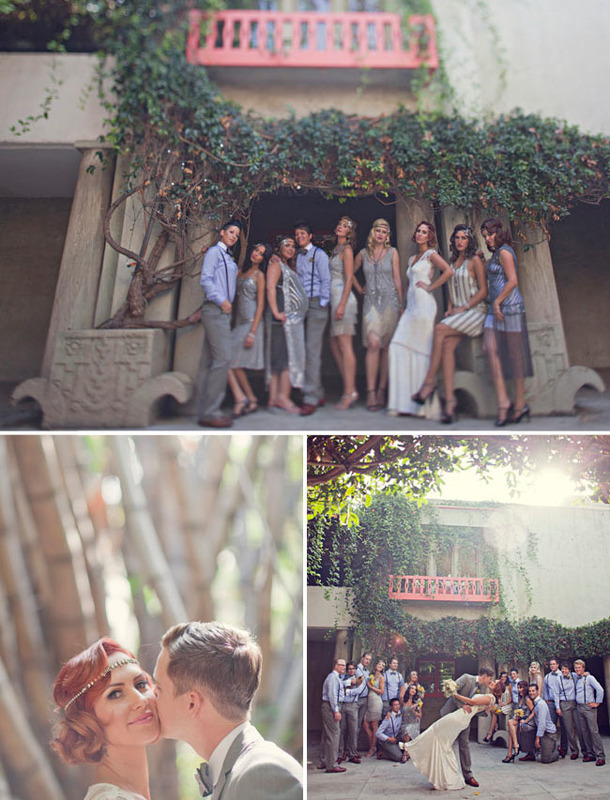 SO many beautiful weddings! 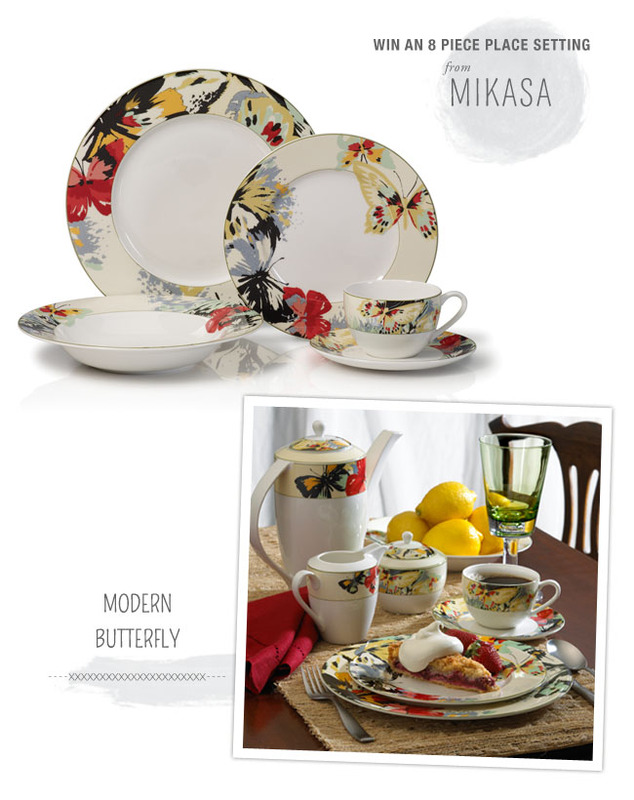 I especially love the little winged flower angel from the Miami wedding – precious! Love ALL of these fab fave wedding moments of 2011. 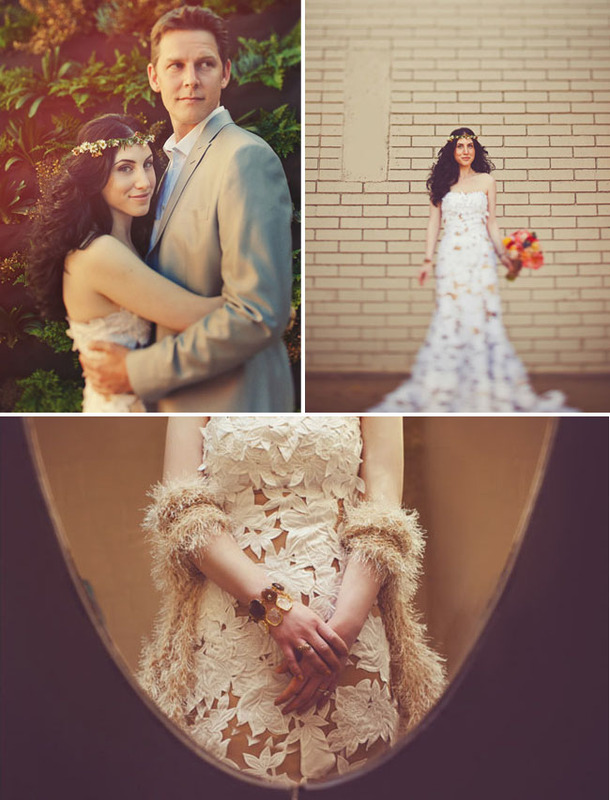 A great year in wedding design and fashion (and blogging) indeed! Love those coloured tights and the clipper photo shot, the feather fascinators, the winged angel flower girl…too many fab moments to choose. Great collection here, GWS!! Have a great new year and keep on blogging awesomely! That flower girl is the cutest I have ever seen! Love love love this post! I can’t even pick my favorite shoot from this post! The link that supposed to go to the bride with the yellow sleeves instead goes to the rainbow tulle bride from the same paragraph. This was an amazing post! So in love with those hairpieces and amazing pops of color on the wedding dresses. Amaze. Another great post! Great post! All the gowns are fantastic and fabulous. I love the unique tights.